It said recovery in rig orders will take some time as drilling segments remain oversupplied. The first quarter of 2018 remained rocky for Sembcorp Marine (Sembmarine) as its profits sank 85.7% from $37.04m to a mere $5.32m. However, its turnover jumped 58.3% to $1.18b. According to its financial statement, lower profit was caused by the one-off gain on disposal of Cosco Shipyard Co., Ltd recorded in 1Q2017. Moreover, there were lower contributions from the offshore platforms, offset by higher profit recognition on rigs delivery in 1Q 2018 on adoption of SFRS(I) 15. Excluding the effects on the adoption of SFRS(I) 15, net loss for 1Q 2018 would have been $33m, Sembmarine added. Q1 turnover jumped by 58% mainly due to higher revenue recognition for rigs & floaters upon the delivery of two jack-up rigs to Borr Drilling and one jack-up rig to BOTL. Excluding the effects on the adoption of SFRS(I) 15, revenue would have been $858m, an increase of 15%. 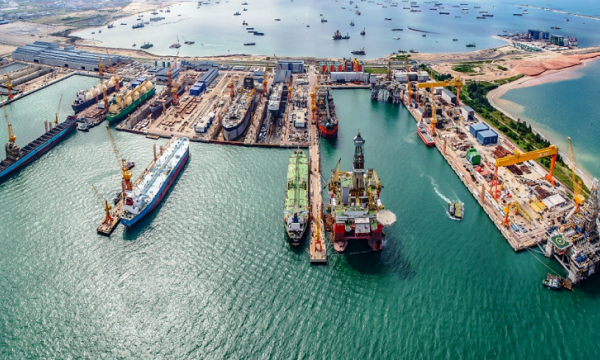 Sembmarine's cost of sales grew larger by 55.7% to $1.14b. According to the company, global exploration and production (E&P) spending trend continue to improve due to firmer oil prices in the first quarter of 2018. "However, recovery in rig orders is expected to take some time as most of the drilling segments remain oversupplied, with day rates and utilisation under pressure. The offshore production segment has improved with the FID of several projects," it added. Sembmarine also noted that the repairs and upgrades business is increasingly competitive, although demand for LNG carriers and cruise ships remains strong. "Regulations on ballast water treatment requirements coming into force in the foreseeable future will further underpin the potential of this segment. However, the offshore segment for upgrades and repairs remains weak," it said. The company said it will "continue to actively pursue the conversion of enquiries into new orders, execute existing orders efficiently, and position itself well for the industry recovery."